A Triathlete and a Virginia Tech Hokie. Trihokie Images is the photography of Barry Jones. Trihokie's roots are in action photography. I love sports and I love shooting athletes pouring their hearts out on the field of battle. I have competed in virtually all of the sports that I photograph. From football to track and field to triathlon up through the Ironman distance, I have been there. That gives me an advantage when it comes to capturing the thrill, the agony and the excitement that defines sports. I believe that a person's inner self is exposed during intense physical competition and I love being there to record it. I also have an artistic side that is expressed in my portraits and wedding photography. I was an illustrator for the Horticulture Department at Virginia Tech while earning my business degree from that college. I designed drawings and illustrations from my mind's eye to the finished product. That eye for art and design carries over into my photography. It helps in the composition of my photographs and in the lighting techniques that I use to create them. 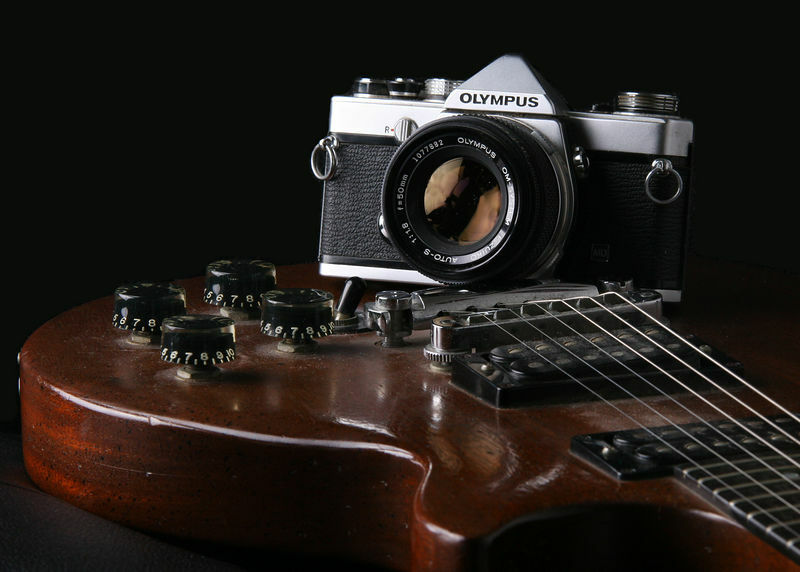 My first camera was an Olympus OM1. It was a high school graduation present from my parents in 1979. Before that I borrowed my Dad's old Pentax. I was the only kid on my street with a black and white darkroom in my basement. In college, I worked as a photographer for the university newspaper. I also did illustrations for publications by the Horticulticulture department at Virginia Tech. Photography and art continued as a hobby for the next 20 years. My photos and drawings were only viewed by family and friends. However, over the past several years my photos have appeared in Running Times Magazine, on the Space Coast Runners web site and in the Club's newsletter, in the Florida Today newspaper and on the FLRunners.com web site. The advancements in digital photography over the past several years have rekindled my interest in post production image editing. What used to take hours in the darkroom can now be done in minutes in the computer. If you have any custom print ideas or requests, just contact me by clicking the "Contacts" link at the top of this page.